CLOSEOUTS. 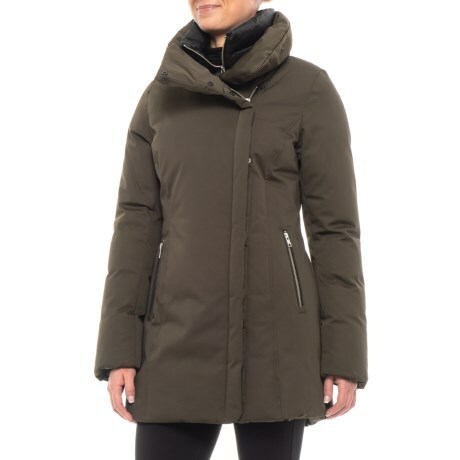 Sandovaand#39;s 32and" Gytha jacket has a modern-looking asymmetrical front zip for on-trend style and is warmly insulated with fluffy goose down and feathers. Available Colors: ARMY, BLACK. Sizes: XS, S, M, L.